Jerry went out with Gail 3 times and she didn’t even want to shake his hand, but kisses Kramer the first time he walks her home. Kramer claims its all because he snubbed her. Gail is a chef at a local restaurant who helps Jerry and George get an impromptu meeting with Russell Dalrymple in exchange for a pair of Elaine’s ‘Botticelli’ shoes. Gail: I thought I’d find you here. Gail: Hi, Elaine. Hey, what is with your friend Kramer? Gail: Yeah, I’m sure. What did you tell him? Jerry: Nothing. Hey, where you goin’ with that? Gimme that. Elaine: I thought you were finished. Jerry: I took two bites, how am I finished? Plus you’re coming down with something? You want me to get sick? Bite? Gail: So, how come? Why did Kramer do that? Jerry: I don’t know. Once he leaves the building, he’s out of my jurisdiction. Gail: Well, tell him that I am mad at him. Jerry: Alright. So, where ya cookin’ now? Jerry: Ah, the power lunch crowd. Gail: Where’d you get ’em? Gail: Ooh, Botticelli’s! Look at you! I’m afraid to go in there. Jerry: Would you care to join us? Gail: No, no, I gotta get to the restaurant. Oh! See ya. Elaine: Why are you talking about my shoes? Elaine: My Botticelli shoes. You’ve been talking about my Botticelli shoes. Gail: What are you talking about? Elaine: Did you or did you not tell Kramer that I got my shoes at Botticelli’s? Waiter: Too spicy. He wants another one. You got that pasta primavera? Gail: Look Elaine, I am very busy here. 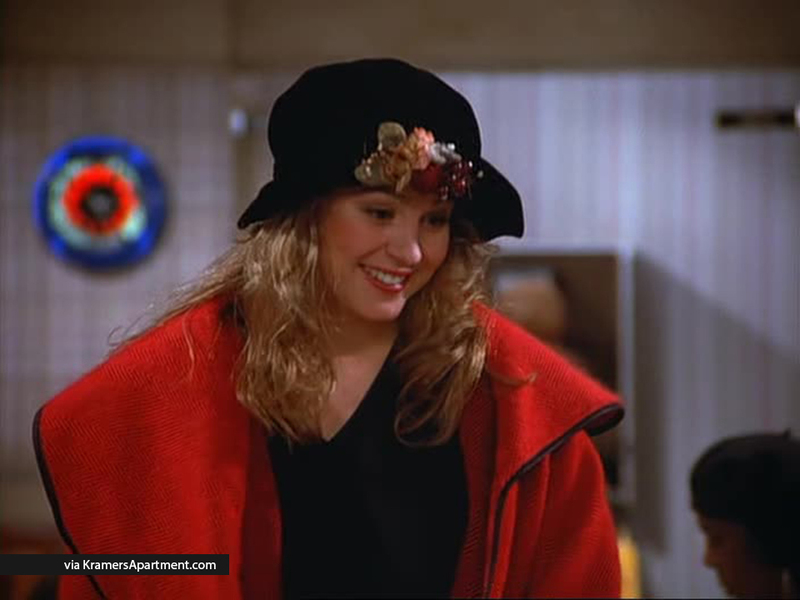 Elaine: Who else have you mentioned my shoes to, huh? I wanna know why my footwear is your conversation! Gail: I am not discussing this. This is insane. Gail: Hey! What is with your friend Elaine? Gail: She comes to my restaurant, comes right in my kitchen, and starts complaining that I’m talking about her shoes. Kramer: Right in the kitchen. Disgraceful. Gail: I don’t want people coming into my kitchen. I think she might have sneezed all over someone’s pasta primavera. Someone might have gotten sick because of her.